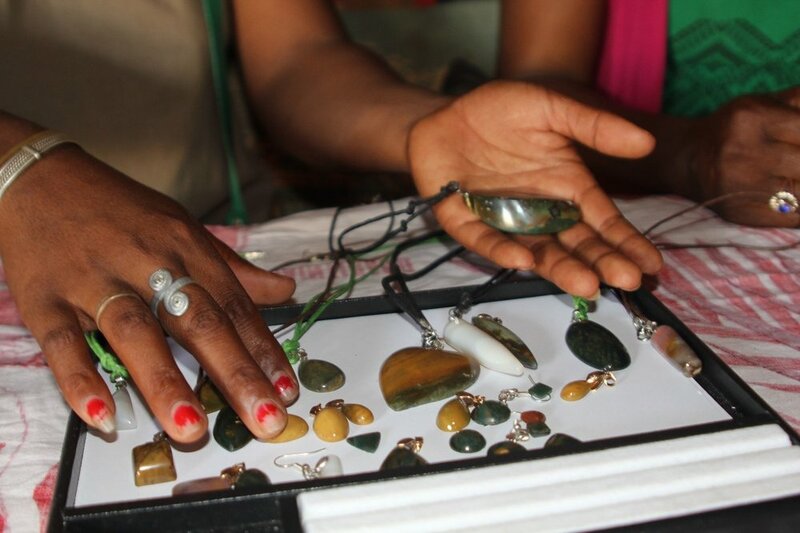 For the past 3 years, Lynda Lawson, a research associate in this gemstone knowledge hub, has been documenting and analyzing the lives of women involved in the sapphire value chain in Madagascar. Her work is based in Atsimo Andrefana in the South West of the country close to the established sapphire mining and trading areas around the towns of Sakaraha and Ilakaka. Ms. Lawson has interviewed more than 173 women, including the life histories of 23 miner and 10 trader women. She has revealed that while many thousands of women are involved in work with sapphires and other gemstones, there are very few opportunities for women to participate in the gemstone trade beyond sieving tailings in the river, surface mining and the sale of small stones by traders known as the ladies in hats. However over the past year an interesting story has emerged. 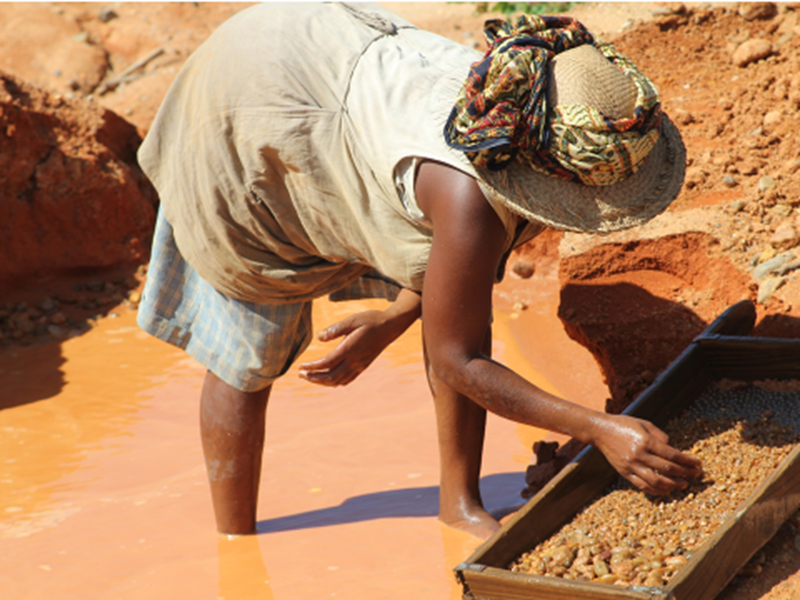 With the support of the German Government’s PAGE program (Programme d'Appui à la Gestion de l'Environnement) in the region, Ms. Lawson conducted a comprehensive baseline study of women in mining in Atsimo Andrefana, finding that these women were among the poorest in Madagascar with very low rates of education and few opportunities. She then worked with Australian gemmologist, Charles Lawson and social educator, Eulalie Tanteliniony to create a basic field gemmology course for the women miners of the region. Each woman was supplied with a basic gemmology kit of a loupe, tweezers, a torch and a guide book in Malagasy and English. The women were taught how to make and use a simple dichroscope. The course was taught over two days and the “homework” over night was to bring in some of their stones and apply what they had learned to identify the stone and its quality. In the bright morning sun, the women carefully revealed their stones and shared what they had learned. Assisting them with practical insights into how well the stone could be cut was Tahiry Camara, a gemstone stone cutter from the capital. A year later they returned to evaluate the training and found the kits had been carefully maintained and the knowledge applied. Tahiry had also taught the women basic lapidary skills and now some of the local stone such as jasper and agate has been made into simple jewellery. A number of the women have shown great talent and interest in learning more about gem cutting and gemmology. This signature project on miner education, conducted in the context of the gemstone knowledge hub, will consolidate and extend this work in 2018.